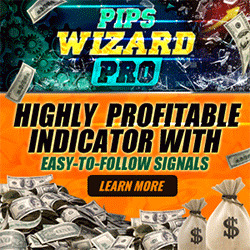 When you use retail spot forex software, it only requires an internet connection to trade real-time. No extra data-feed is required. All online forex brokers' software is real-time, rather than delayed. If you download a free 30-day demo of the software, you can "practice trade" in real-time with the exact same quotes as a live account. The software is exactly the same, and you receive virtual money for the account. You are then able to enter trades in real time, and monitor them just as though it were a real account. You will experience no difference between the demo account and a live account. When you log onto your trading platform, you see your price quotes, and you simply click on the price to sell or buy. It will ask you how many lots or contracts you want, and then you click ok, and you are in. You can also use the charts they provide with the trading platform; they will reflect the movement of the real-time price of their trading platform. With those charts, you usually have the ability to place horizontal lines where you choose (pivot numbers). Each currency is quoted with a pip spread. This is how the dealer makes his money. With most online retail brokers, there are no commissions. For example, I want to buy the Swiss Franc, and the current quote is 1.7205/1.7210. The dealer will give me the 1.7210 price, and I would start the trade -5 points which equals $30.00. In my trade window, I would see my money change as the market price moves back and forth. As it moves in my favour, my negative position is removed as soon as the market is trading 1.7210/1.7215, or higher. 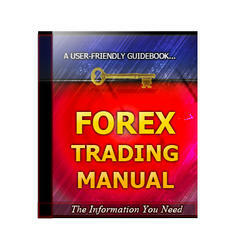 In the spot forex market, it is common for currencies to move 100 to 300 pips/points in a 24-hour session. For example, using my pivots spreadsheet, at one point the projected range for tomorrow's Swiss Franc trading was 308 and the actual range was 154. I recommend the Swiss Franc, because of all the currencies it moves the most. If you like volatility, there is no currency more volatile than the Franc. If you want to see the software in action, just register for it at www.fxsol.com, and download a free demo. You will get your password and username immediately by email. If it's action you're looking for, like Mr. Magoo driving a sports car, then the forex is the place to be, and the FX solutions trading platform is the right place to trade.